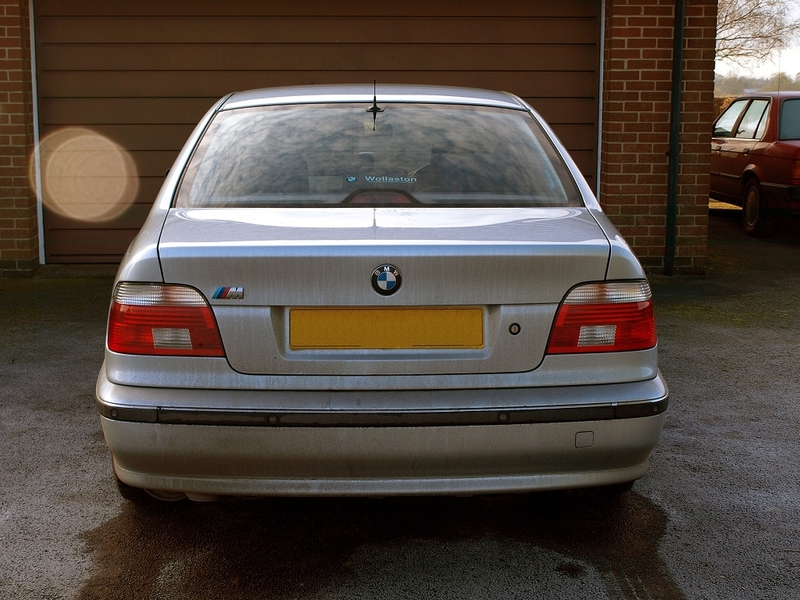 This is my BMW 535i. 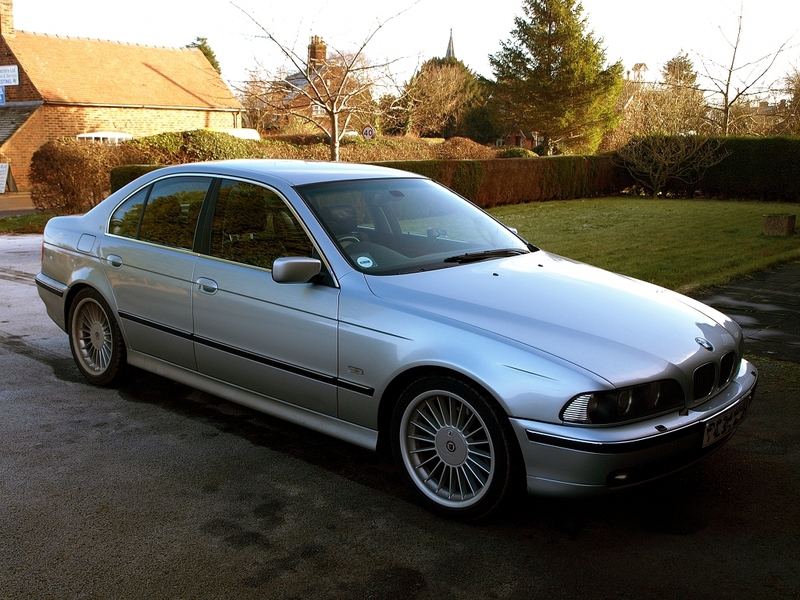 It's an E39 chassis, V8 engine, on M-Sport suspension with genuine (apparently) 18" Alpina wheels. This is the interior, in case you weren't sure what you're looking at. 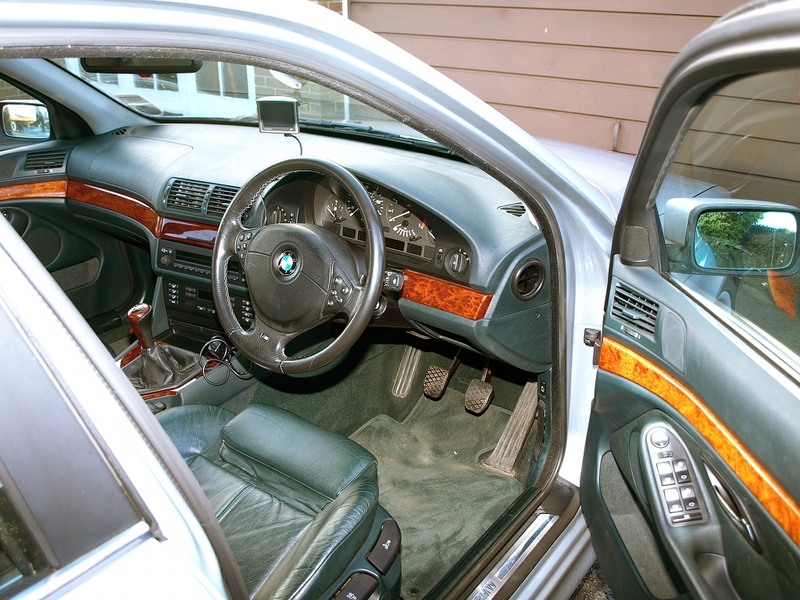 Note the M-Sport multifunction wheel, sport seats, questionable wood trim, and dark green leather. Dark green. It's like sitting in a pine forest without the trees, but more buttons than you'd usually find in a forest. Here's another interior shot. Note the factory BMW phone, for which I've ordered a free Vodaphone SIM card. Then I can use it in a totally retro-executive fashion. Note also the passenger's sun visor, sitting conveniently in the passenger seat. I found it under the seat. It's broken, which is good because I don't feel a car is truly mine until I've fixed something. A view of the rear. As you can see, it's been debadged but for a tacky M-Sport logo, but at least it's somewhat appropriate what with the M-Sport wheel and suspension. Please ignore the filth -- it's what happens when you drive one of these things instead of washing it.